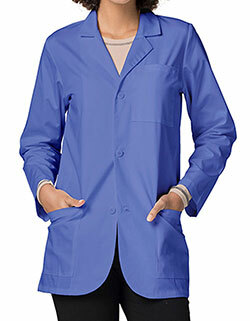 With the Dickies Utility lab coat, you will up the medical scrubs standards for all women in the workplace! The junior fit flatters your figure and hugs you in all the right places, and princess seams give the jacket a pronounced feminine look. But that's not all! 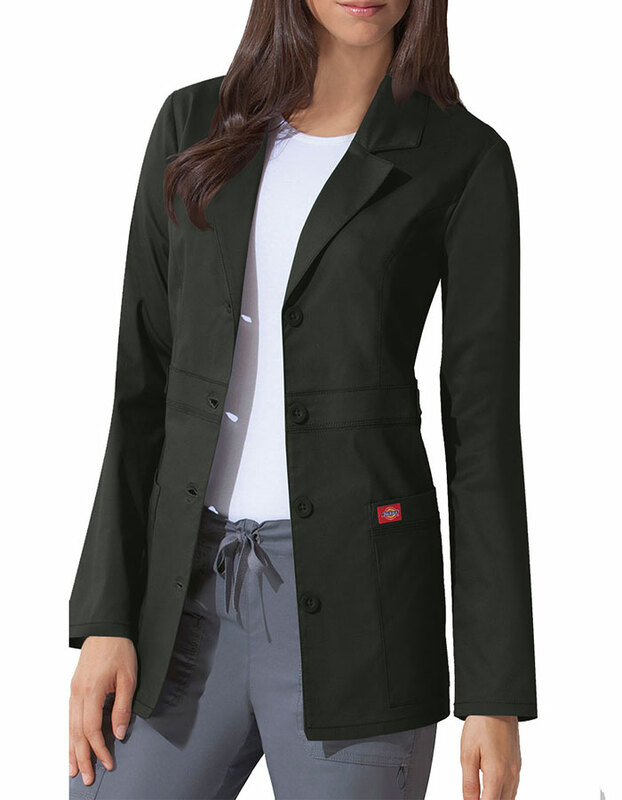 Two large patch pockets are perfect for storing whatever you may need, whether it is job related or just personal items that you can't be without, and multi-needle top stitching gives the jacket durability. 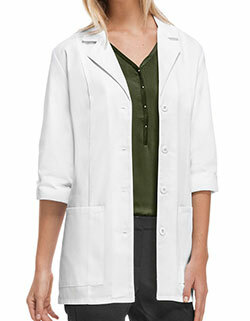 To round out the chic, snazzy look of lab coat 82408, there is snap detailing and a back belt; now your stylish look is complete!